CV writing is a very tricky affair. Since potential employers will see your resume before they see you, that document could be your first and last chance to make an impression. While it is important to make your CV stand out among the others so that it gets noticed, being too experimental could be positively risky, as it may turn off conservative employers. If you are already confused by all these suggestions, it looks like you need some help in writing your resume. Don’t worry, there are numerous sites on the net that can make resume writing a piece of cake. Here is a list of the top eight websites where you can get your CV written online for free. And the end result will probably be a lot more visually attractive that what you could have ended up with on your own. 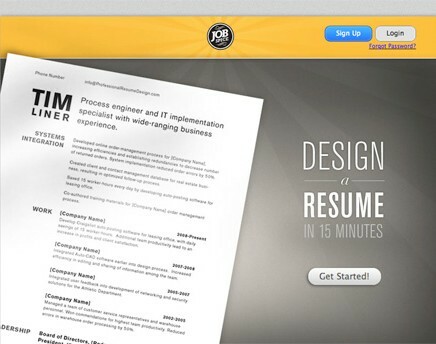 Re.Vu will amaze you with the ease and speed with which it will whip up your resume. It connects to your LinkedIn account and takes data directly from there, though you have the option to edit it afterwards. Re.Vu even adds a cool graph to your resume, showing your professional progress through the years. Visit this site for the most professional looking CV in the market. Online CV takes you through the various sections of your CV, such as experience and education, one by one, and returns the result in a clean, organized document. 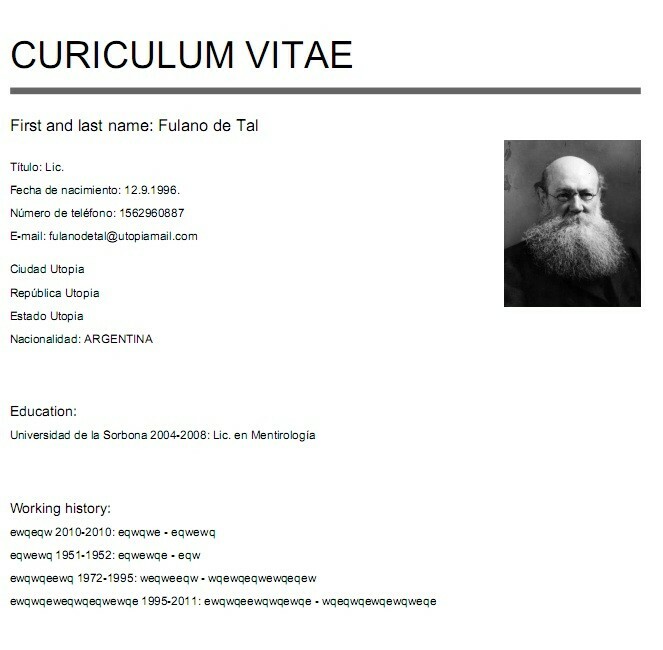 You can even upload your picture to the CV. Resunate is not as simple as some of the other sites mentioned here, but it is not at all difficult to use, and it returns the most formal, impressive looking results. Unlike other resume makers, this site gives you the option to rearrange the order of the sections, thus customizing your CV and making it unique. There is, however, no photo upload option. Creating a resume on the Visual CV site will take much longer than what it takes on many other online resume makers, but the results are totally worth it. Visual CV lets you fill in your professional and educational information in great details, and then returns a very well structured CV. Another excellent site for creating your resume is Jobspice, where you can get extremely professional looking CVs which draw attention to your achievements and have the power to impress any employer. Of all the online resume makers we tried out, Praux was by far the most fun and easy to use. With a very interactive guiding system, Praux gives you the choice to make your CV decorative or conservative. Praux has only a few themes to choose from, but it lets you create your own themes to suit your needs. Spongeresume is among the easiest of these sites to use, with its simple steps and large number of templates from which you can select your ideal CV format. The end result looks classy and sophisticated, without being cluttered. So don’t hesitate to use one of these sites to create an impressive CV and get an adge over other contenders in your job hunt!.